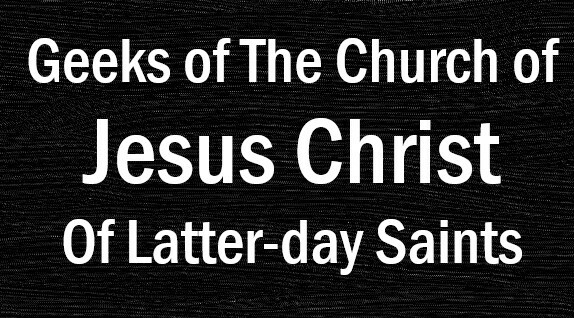 As T.J. 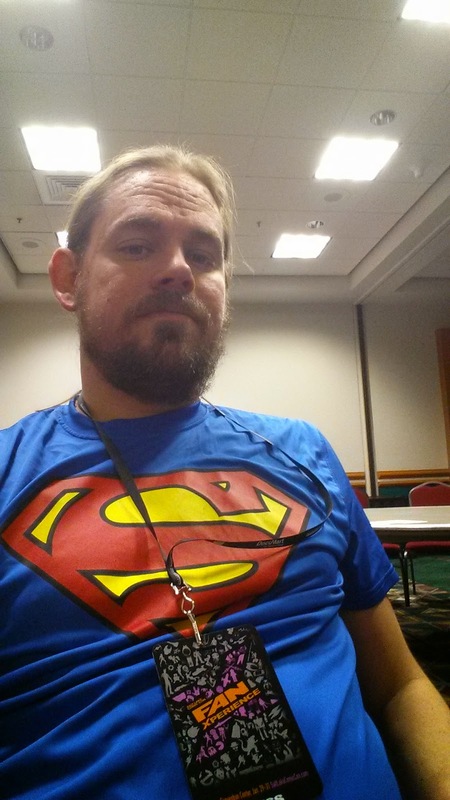 Mentioned in his post on Monday, I was able to attend the Salt Lake Comic Con FanXperience all three days last weekend. 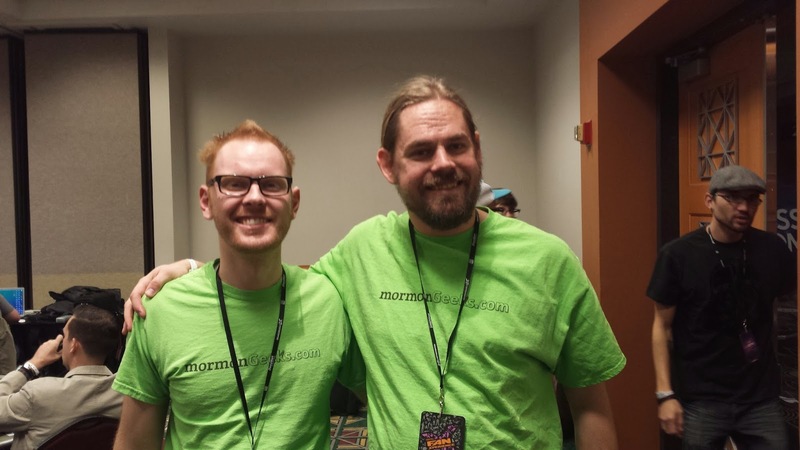 As I also have the distinction of being the only contributing writer from Mormon Geeks that was able to attend all three days of the convention, I also get the privilege of reporting on it. 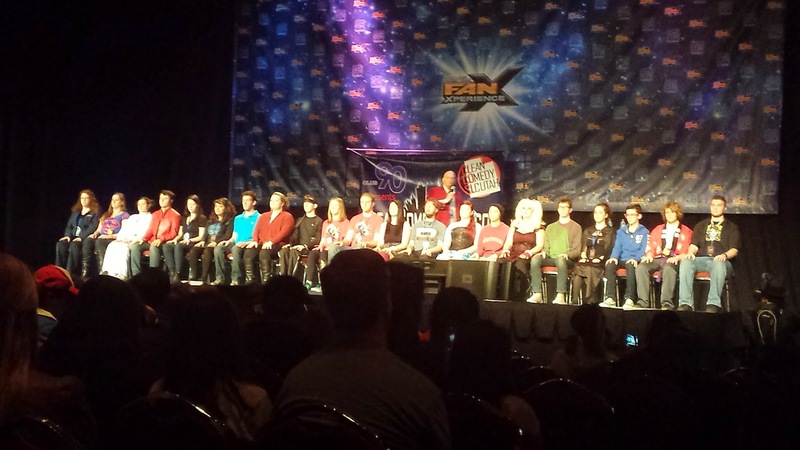 Some of the other highlights for Thursday included a panel on the importance of supporting characters in Harry Potter (Ron and Hermione in particular) and a comedy hypno show (which was hilarious) to wrap up the evening. 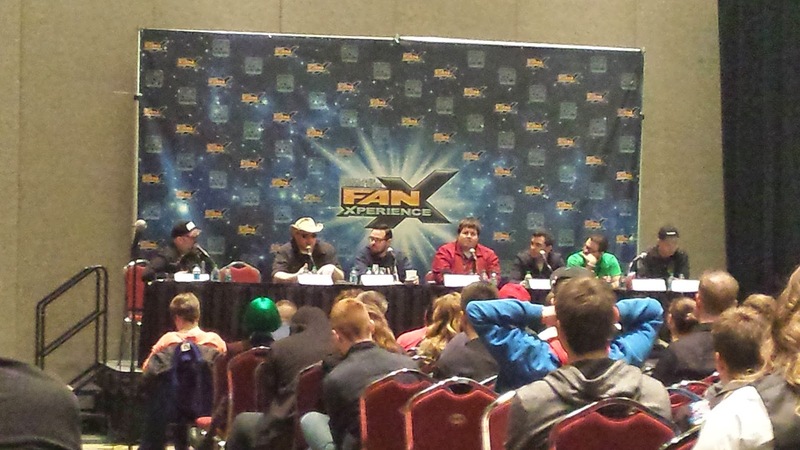 Friday was the day of celebrity spotlight panels. 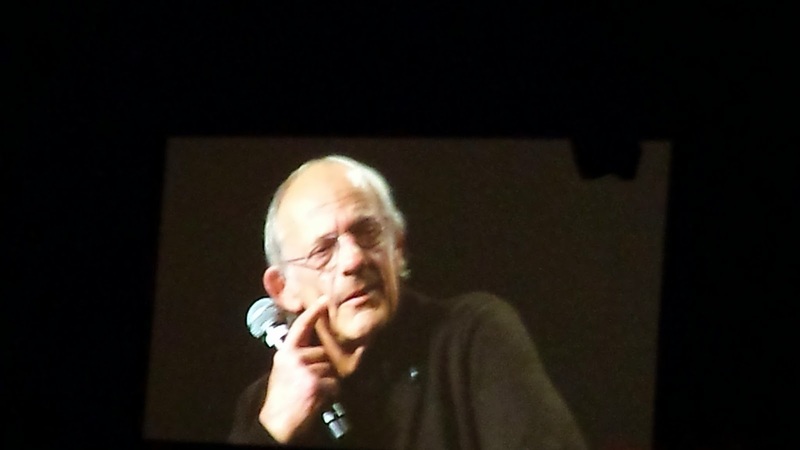 The first for the day was Christopher Lloyd, who spoke about getting his first movie role in One Flew Over The Cuckoo's Nest, how getting the role as “Doc” Brown in Back to the Future kept him in the movie business at a time he was considering giving it up to go back to stage acting in New York, and how he enjoyed Back to the Future Part Three for its Western theme and for giving him his first on-screen kiss. Brandon Routh was up next. He spoke of the process that ultimately ended with him recieiving the title role in Superman Returns. He spoke of how he had an easier time playing Clark Kent than Superman, and that he would have enjoyed having a few punches in the movie. He also talked about enjoying playing Ray Palmer in Arrow, and how that role came as a pleasant surprise to him, as he wasn't expecting to have the opportunity to play another DC superhero after playing Superman. He also spoke of how he's glad that he's allowed to use some humor in that role, and some of what to expect from his character for the rest of the season (including a guest appearance on The Flash). He also spoke about his role in The Nine Lives of Christmas and being able to watch it with his two-year old son. Next up was Nichelle Nichols. 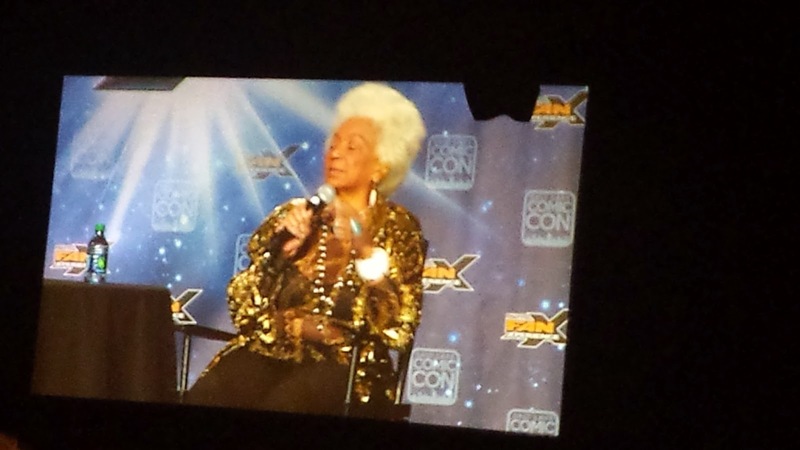 She spoke of her role as Uhura on Star Trek, and how the cast of the show has become her family. She also shared of an experience of once speaking with Martin Luther King, who convinced her to continue on Star Trek during a time she was considering leaving. 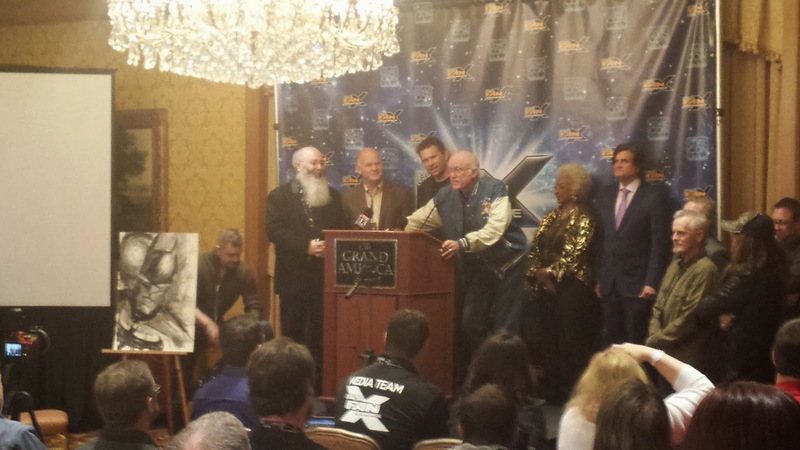 She also spoke of the impact of the first on-screen inter-racial kiss she shared with William Shatner. And she also spoke of inviting Zoe Saldana (the actress who plays Uhura in the Star Trek reboot) when Saldana asked to meet with her to seek advice on playing the role. 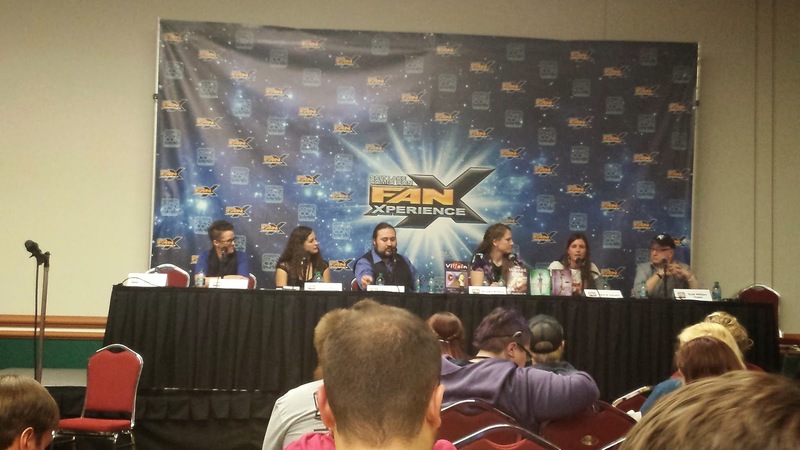 The next panel featured Felecia Day. She was very personable. She spoke of when she first met and started working with Joss Whedon when she was cast in a recurring role in the Buffy, the Vampire Slayer TV series and the ways she has found to tease him. 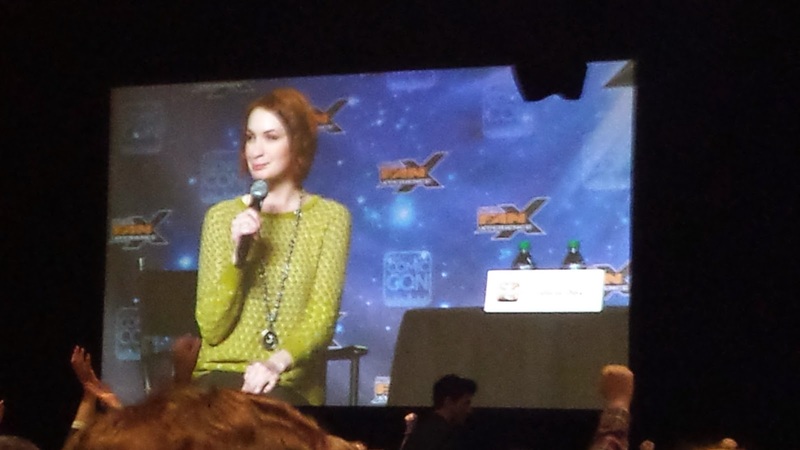 She also talked about The Guild, a web series she wrote and produced that was loosely based on her life, and how being a gamer herself, she could identify with many of those in attendance at FanX. And rounding up the celebrity spotlights for the afternoon was Tom Felton. 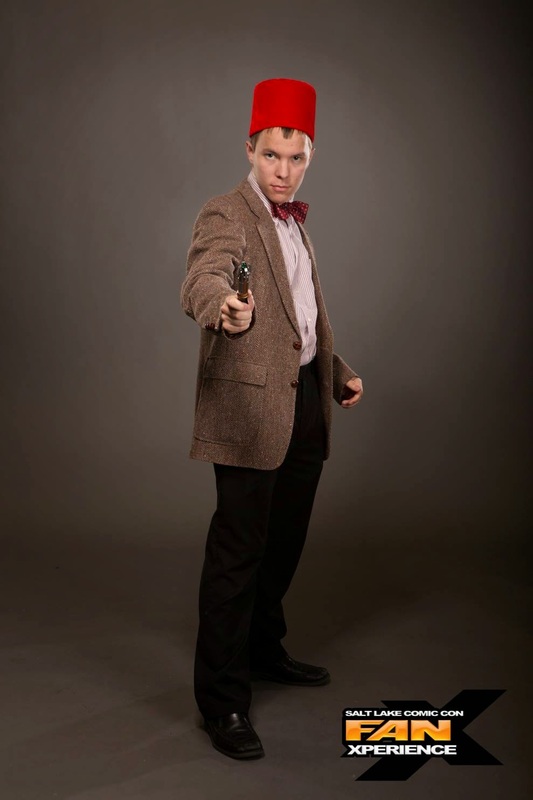 He shared of a number of his experiences on the set while filming the Harry Potter movies. He spoke of his friendships with the other members of the cast, and gave some of his own insights into the Draco Malfoy character. He spoke of meeting his long-term girlfriend on the set, who was an extra, and how she got to play his on-screen wife at the end of the last movie. 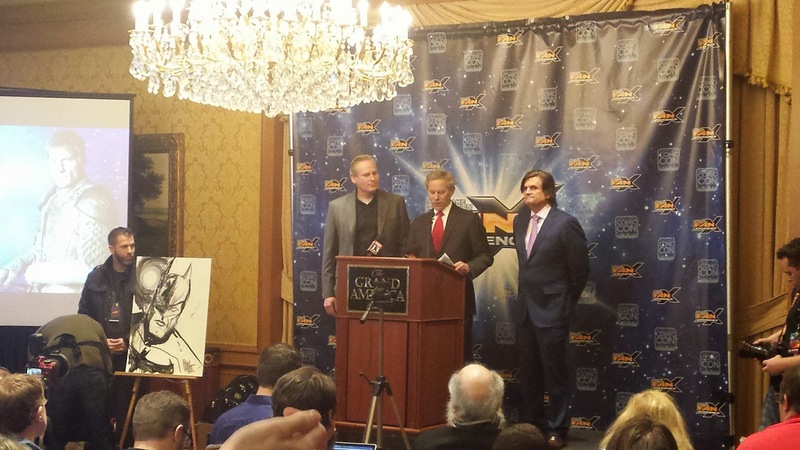 He also spoke of some of the projects he has been working on since the Harry Potter movies ended. 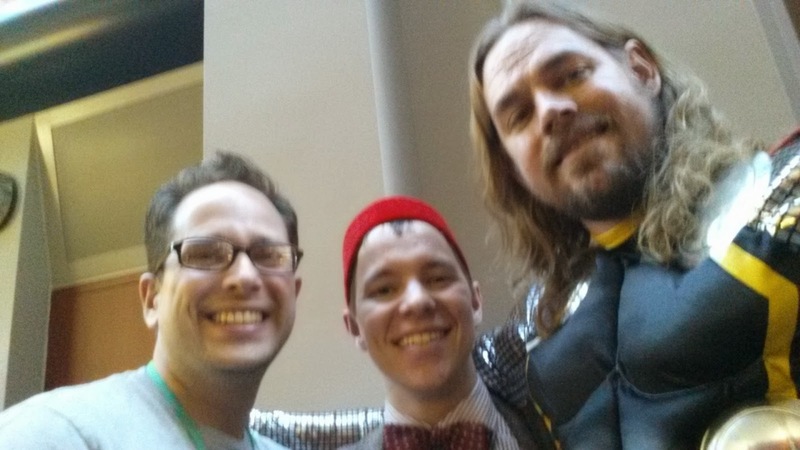 I also got to hang out with friends Spencer (who was cos-playing as the 11th Doctor from Doctor Who) and David. We went shopping for souvenirs together (I didn't add quite as much to my collection of geek art this year) and Spencer and I got asked by a volunteer if we'd be willing to have our pictures taken by a professional to be featured on Salt Lake Comic Con's website. 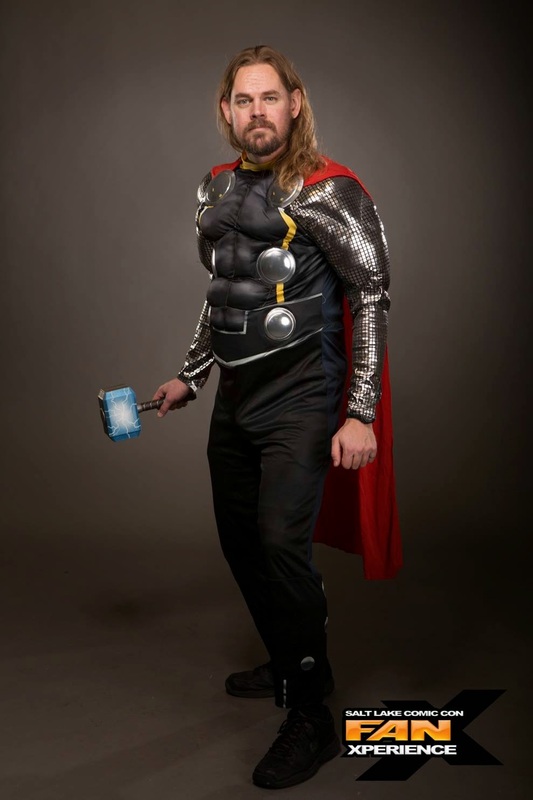 In addition, I went to a panel that discussed DC Comics based TV shows (while dressed as Marvel character Thor). 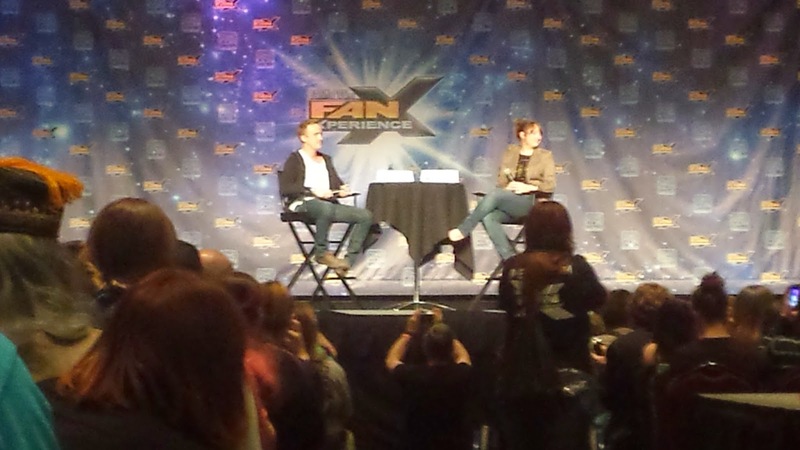 I enjoyed the discussion as two of my favorite current TV shows include Arrow and The Flash. 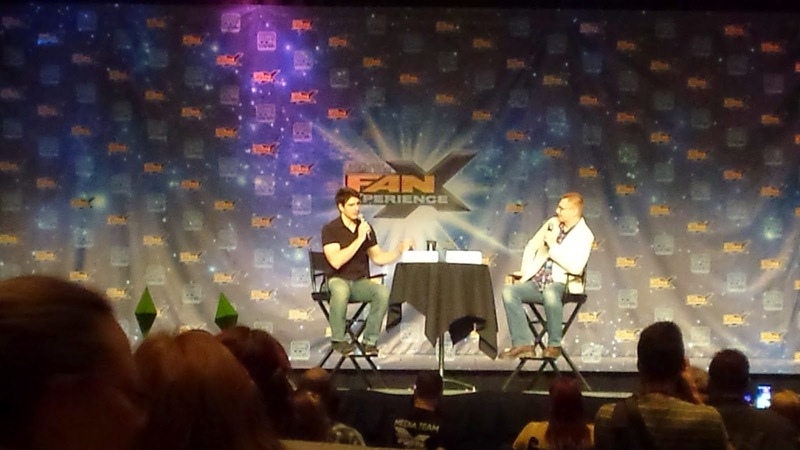 And the biggest highlight for me at FanX this year was getting a picture with Brandon Routh. Many know that I'm a big fan of Superman, which is reason enough to be excited for this. But I've also come to love Brandon Routh's portrayal of Ray Palmer in Arrow. His scenes often add a light-hearted tone to what is frequently a dark and serious tone on the show. And even though we were being herded through the photo op line like cattle, I was impressed with the fact that Brandon took the time to shake the hand of each person coming through to have their picture taken with him (many celebrities at conventions don't shake hands at all, but instead do fist bumps, as they are less likely to catch a bug from a fist bump than a hand shake, but I digress...). Getting a picture with a celebrity was even better than the last couple of conventions in which I've gotten autographed pictures. 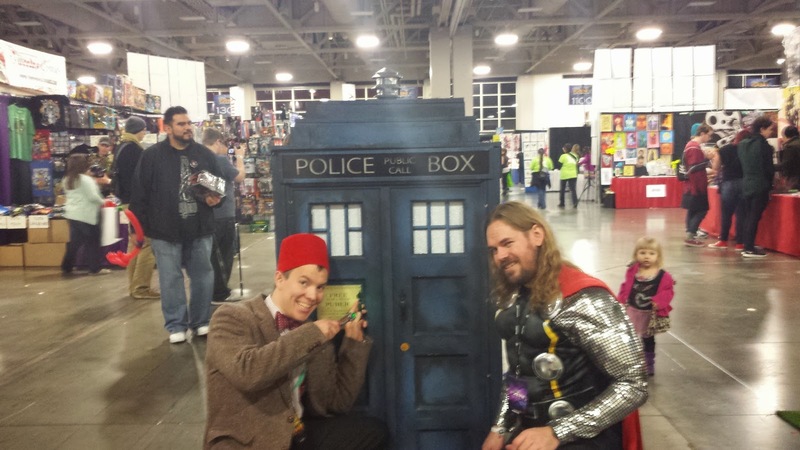 While I wouldn't necessarily say that this is the best comic book convention I've ever been to, the frustrations I experienced at Salt Lake Comic Con last year were definitely not an issue this time, and overall, going to FanX was a pretty awesome experience. 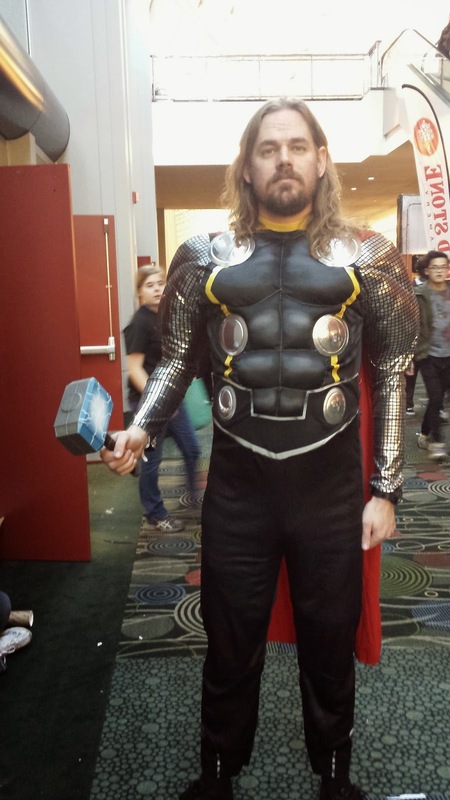 I'm looking forward to going to Salt Lake Comic Con this fall. Now I just have to wait seven months and some odd days for it. Let the countdown begin!